Gypsum powder is the product of gypsum, and China is possess of the most natural gypsum in the world. Besides the phosphogypsum whose capacity is more than ten million tons, there is FGD gypsum, citric gypsum, fluorine gypsum, salt gypsum and other chemical gypsum. The development of gypsum has been important factor to build circular economy, which attracts many investors. 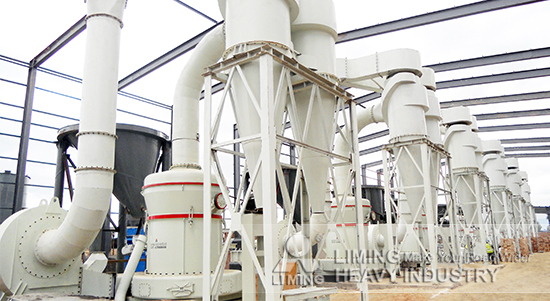 According to the features and market trend, Liming Heavy Industry researched and developed gypsum. This machine takes advantages of high efficiency, low power consumption, small covered area, low investment costs and big profits, and that’s why customers all like this grinding machine. Aiming at gypsum processing, gypsum grinding mill can satisfy fineness requirement because this machine can adjust the size of finished product and there is a wide application. It is easy to operate and the workshop can be very clean during production. Gypsum powder made in Liming Heavy Industry can satisfy the development of gypsum and customers’ demand. If you want to know more about this machine, you can contact us quickly. <<Previous：What are the advantages and characteristics of vertical roller mill?